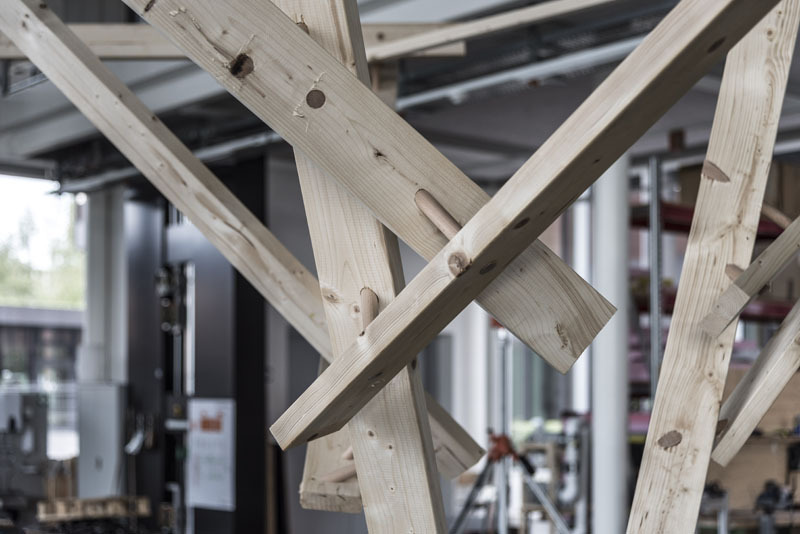 In this workshop, our aim is to join simple timber beams into highly informed and complex spatial structures that follow a specific constructive assembly logic, building on the previous project Gradual Assemblies . 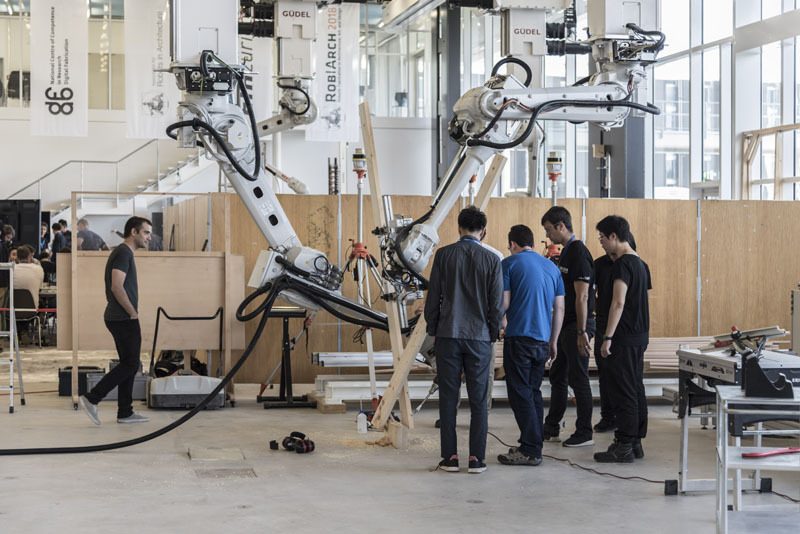 We will take advantage of the ability of cooperating robotic arms to position, orient and join timber elements, investigate different spatial arrangements and determine the solution space of what is physically buildable with the aid of robotic simulation and path-planning algorithms. 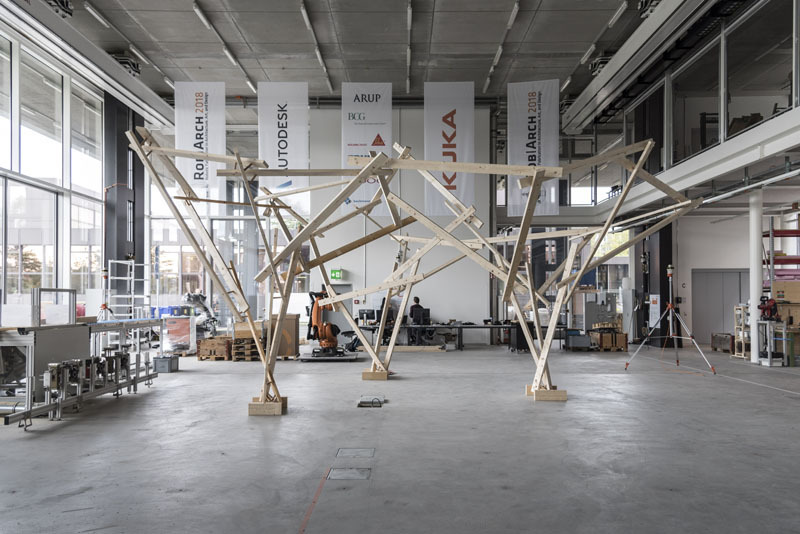 Using the workspace of the Robotic Fabrication Laboratory (RFL) at ETH Zurich, we will work directly at a 1:1 scale and physically realise a large architectural artefact. 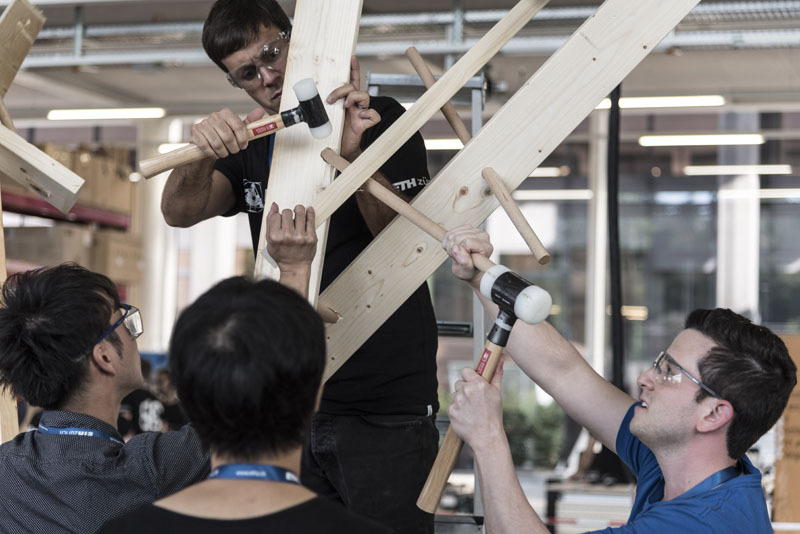 The participants will engage in a) computational design and b) robotic fabrication. They will explore the constraints of the constructive system in an intuitive manner. During this workshop, we will provide algorithmic design tools (e.g. multi-robotic sequencing, collision detection and path planning) that incorporate the geometric interdependencies and the specific robotic fabrication constraints. 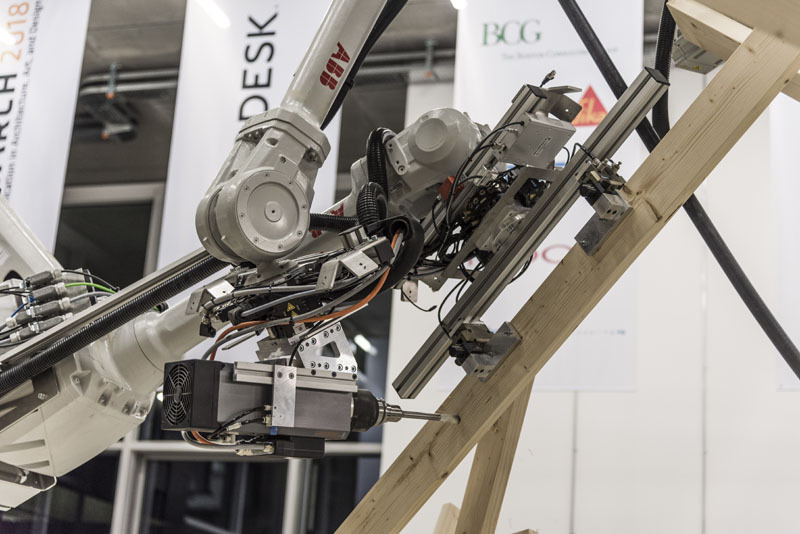 Finally, we will fabricate a structure with two cooperating robotic arms. The participants will get an insight into the control of the robots (e.g. multi-robotic coordination, grippers as well as drilling end-effectors) and their periphery (e.g. CNC-saw).